The property of a former Michigan Supreme Court Justice is in the news — 126 years after his departure from the bench. The official portrait of Justice Edward Cahill and a portion of the foundation of his former home, known as the Scott Sunken Gardens, in Lansing. Justice Edward Cahill had one of the shortest terms on the Michigan Supreme Court; however, he succeeded Justice James V. Campbell, who was the longest-serving justice and one of the “Big Four.” Cahill served from April 1890 through the end of that year. After his electoral defeat, Cahill went into private practice with future justice Russell Ostrander. What makes Justice Cahill newsworthy today has to do with property where his home once stood. In 1930, the new owners of the property demolished Cahill’s home to build a much larger one. 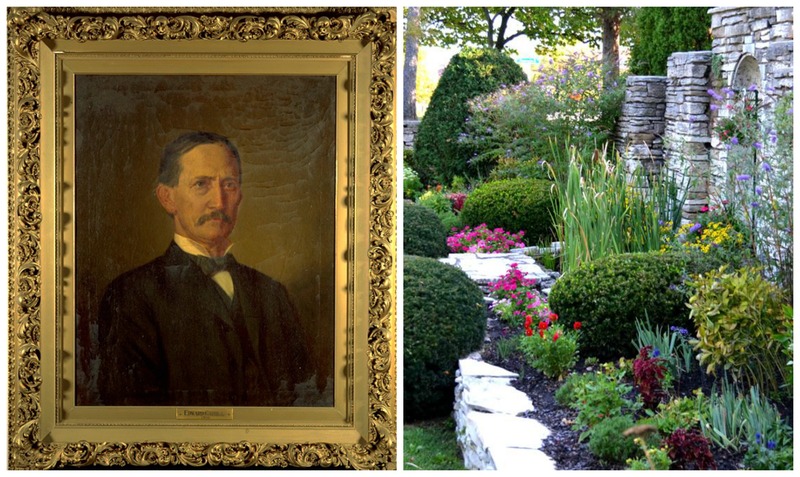 Upon the foundation of Cahill’s former home, they built a sunken garden, which has been maintained by a private garden club over the decades. To see more of the gardens, visit Preservation Lansing. They are quite a treat to see on a cold, blustery day in February when the State of Michigan is closing due to a winter storm.